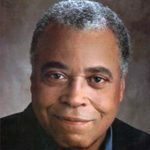 In 2002 James Earl Jones was invited by the town of Lauderhill, Florida to be their featured speaker at their annual Martin Luther King Day celebration. As appreciation they wanted to provide their guest with some sort of gift, so they turned to a local promotions company. The promotions company came up with a plaque that included an inscription thanking Jones for his participation surrounded by several postage stamps depicting prominent African-Americans, headed by one of MLK himself. They sent the idea off to a company in Georgetown, TX for production of the plaque. Ray, of course, was the man who plead guilty to assassinating MLK at the Lorraine Motel in Memphis in 1968. Gerald Wilcox said he knew the error didn’t come from his company, but he sent a company secretary scurrying through order forms — just to be sure. “In all my communications with the vendor, I never used [the name James Earl Ray[/mfn]. I almost fell off my chair when I saw it,” said Norbert Williams, 68, a former middle school principal who is an AdPro account executive. The evidence pointed to Georgetown, Texas. Even with his doubts, Wilcox said he was willing to call it an error but wanted Merit executives to tell him what happened. He said the first phone conversation broke down when a Merit employee became uncooperative and cut the call short. On a second try, Gerald Wilcox talked to the owner, Herbert Miller. He said the mistake slipped through quality control because it was a rush job. “It was a stupid, stupid error,” he said. LAUDERHILL, Florida (AP) — James Earl Jones brushed off a mistake by an engraver who erred while inscribing a plaque meant to honor the actor during a Martin Luther King Jr. tribute. The plaque was engraved: “Thank you James Earl Ray for keeping the dream alive.” Ray was the man convicted of assassinating King in Memphis, Tenn., in 1968. Jones said the company made a common mistake and he’s been introduced as James Earl Ray before. “There’s no point in getting too sensitive about it,” Jones said Saturday at the ceremony. Instead of the plaque, the city gave Jones a colorful Ashanti stool similar to ones traditionally used as a throne in the African tribe. Merit Industries, the plaque’s maker, said the mistake happened when an employee was preparing the Jones plaque at about the same time as one for someone named Ray Johnson. Share the post "James Earl Jones and the Lauderhill, Florida MLK Day Celebration, 2002"
“Ray Johnson”??? — I wonder if it was Redd Foxx Comedy Hour and Beer Commercial Great Ray Jay Johnson? His name is a giant typo. It’s Herbert Piller. I wouldn’t be suprised if it was done on purpose. I worked for the guy. They pirated software and all kinds of stuff to no end. Selling overpriced crap. And yes he really is as big of a** as they claim. I’ve watched him work the phones and it was frightening. He’s a definitely a liar, and a racist as well. When I was there his employees were mostly caucasian and most were into their 30’s. I was asked to copy a book by reading it sumarizing each paragraph, and NO credit was to be given to the original author. I started doing it and then decided against it the following day and deleted all of my work and left. I’ve seen people there be employeed for a matter of 12 minutes maybe. Well qualified people. He constantly berates his employees, and makes the environment miserable, not to mention the security cameras that watch you constantly. Frankly, this place is ripe for a lawsuit, and I’m suprised it hasn’t happened yet.